Intercom systems for residential properties typically serve one or two primary purposes: they are used to communicate with the person at the front door, sometimes for the purposes of access control in a multi-family dwelling, or they are used as a means of communication between the different parts of the home, like from the kitchen to the master bedroom. In either usage case scenario, the types of intercom systems can be organized in a few broad-sweeping categories. A hard-wired, audio-only intercom system is quite common in a number of different households. This involves running actual wires and cables through the walls between the different units, which may be placed in different rooms in the home and at the front door. In some systems, an AM/FM radio can even be integrated into the master control unit that can then send music to the different parts of the house. Because a direct wired connection is needed, the installation of a wired intercom system is best suited for when the walls are still open and without drywall, as would be the case during the home's original construction. Otherwise, opening up the walls to run the wires can introduce a lot of cost, a lot of labor and the potential for a lot of frustration. Wireless audio-only intercoms are also available and these can be relatively inexpensive, particularly since DIY installation is far more feasible. The master station and receiver units can be purchased from a number of home improvement stores with prices starting at around $100 per unit, with more complete systems like NuTone NM200K with AM/FM radio the selling for around $900, not including the cost of wiring and other hardware. The greater cost comes from the professional installation that would be needed and the complexity of running cables throughout the home, resulting in total costs that can run into the thousands depending on the number of units and size of the home. Alternatively, simple wireless intercoms that function over FM radio waves can be purchased for as little as $50 per unit, like the RadioShack 43-3105 3-station, 3-channel system. The core functionality of a home video intercom system is fundamentally identical to that of an audio-only solution aside from the fact that it also includes a live video feed. 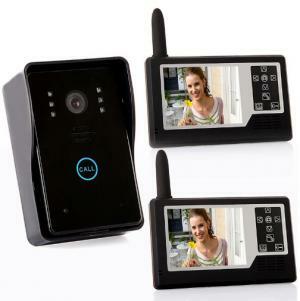 Given this, video intercoms are far more popular as a means of seeing who is at the door than it is for conversing between areas of the home. Available both in wired and wireless configurations, video intercom systems also come in varying levels of video quality. Some are black and white and others are in color. Some are lower resolution and some are high definition. Some even offer an infrared-based night vision feature to see who is at the door, even at night. The video feed is typically one way--the person in the home can see who is at the door and not vice versa--though two-way video systems are also available. As with audio-only intercom systems for the home, the costs for a video-based system can also vary considerably. A wired intercom system offers a greater level of security, but introduces the greater complexity of running cables through the home. This usually involves professional installation. 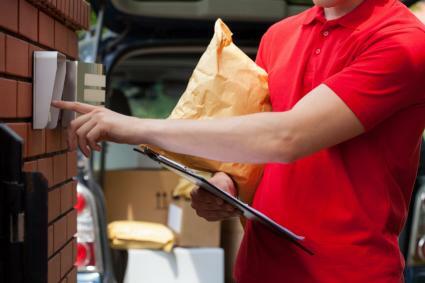 Wireless intercoms with video capabilities are far more convenient to install, but may suffer from range, connectivity and interference issues. It is also possible for an unauthorized person to "tune in" to the transmission frequency to intercept the audio/video feed. Installation, depending on the product, can be more easily within the scope of the amateur handyperson or DIY enthusiast. Pricing for wired video systems start at around $100 for a unit, like the Swann DoorEye Camera, not including the cost of professional installation. A wireless system like the one from Tomtop sells for around $200. An emerging trend in consumer electronics, which can be used to create a home intercom system, is called the Internet of Things. The term is oftentimes used interchangeably with "smart home" or "connected home." It includes a variety of devices and home appliances that are connected to the Internet, typically over Wi-Fi, and provides the user with more robust functionality. Many can be controlled through apps on smartphones and tablets and some also come with a web-based interface. An IP camera, for instance, is effectively a standalone webcam that does not require a computer to operate. It can connect to the Internet and home owners can access the audio/video feed remotely through a web browser or mobile app. The ecosystem can be further bolstered with smart locks for the front door that can be locked and unlocked remotely. Most "smart home" systems can be setup and configured by the average consumer though some units may be better suited for professional installation. The technology, particularly on the consumer end of the spectrum, is still relatively new in the area of smart home solutions and the Internet of Things. As such, the implementation can sometimes be buggy and the connection, both between smart home units and to the vendor's secure severs, can be slow or problematic. There are multiple vendors with multiple systems that each work within their own environment. 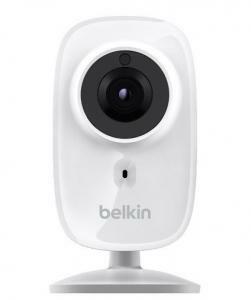 Belkin has its WeMo family of products, for instance, where the wireless-enabled Netcam HD+ retails for around $113. It still requires a power source and, more importantly, it requires a smartphone or tablet with the WeMo app to operate. Through the mobile app, users can utilize the "push to talk" function to communicate with those facing the NetCam+ while listening to the audio feed picked up by the IP camera's microphone. It is also worth noting that the NetCam HD+ is not designed to withstand outdoor conditions, though some more security-oriented offerings from other companies, like the $250 ACTi D72A, are. An intercom system for apartment buildings and other multi-family dwellings has become a must for access control reasons, but an intercom can also be very useful for a single-family home as well. The need to communicate between rooms may not be as relevant as it was before the age of the ubiquitous cellphone, but being able to see or hear the person at the front door is still as important as ever. Wired systems are typically the most reliable and the most secure though they involve the most cumbersome installations. Wireless systems are easier to install, but can run into issues with interference and range. And smart home solutions represent the bleeding edge of technology with all the risks and pitfalls of being an early adopter. Whatever the case, there is a home intercom system available for nearly any house, application, and family.